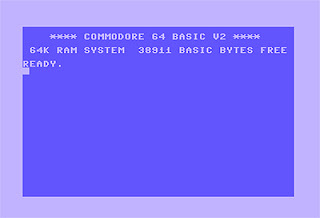 I am not a computer programmer, but when I was a child I remember writing code with our Commodore 64. I copied the code from a manual and played around with variables to see what kind of changes I could make to the output. I was 10 and I actually found this fun. I'm sure there were many other kids out there doing the same thing. Microsoft's Matt MacLaurin explains that the blank computer screens with their blinking prompts in the 80's sent a clear signal to people that computers were a creative medium. With today's interfaces, he thinks that the invitation to create and the invitation into the programming world has been diluted, so at Microsoft, Matt is part of a team developing Boku - a Teletubbie-styled visual programming tool that will serve as the blinking ready screen for today's kids. This tool will allow people to program games. Listen to John Udell's very interesting interview with Matt on IT Conversations.